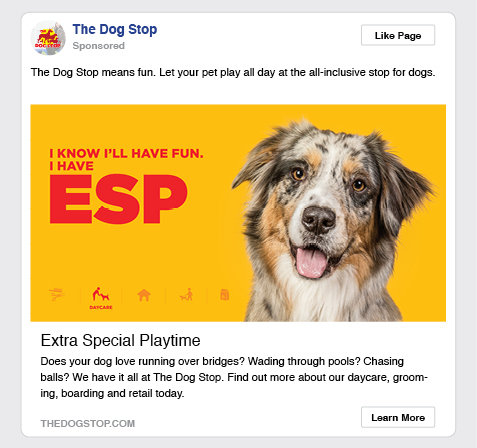 The Dog Stop is an all-inclusive dog care company that strives to promote healthy and happy dogs through socialization, physical and mental exercise and a holistic retail approach. 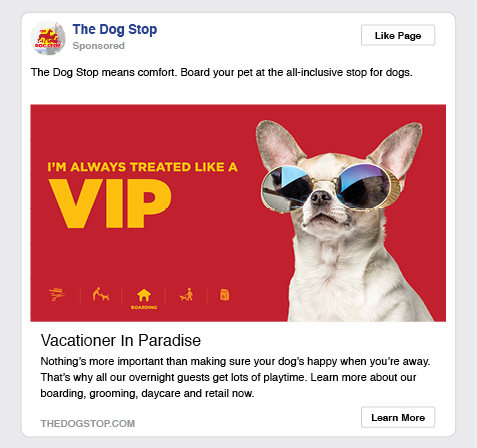 As the brand prepares to grow nation-wide, they asked us to create a cohesive, affordable brand look and voice based on existing assets for their first ever marketing campaign. 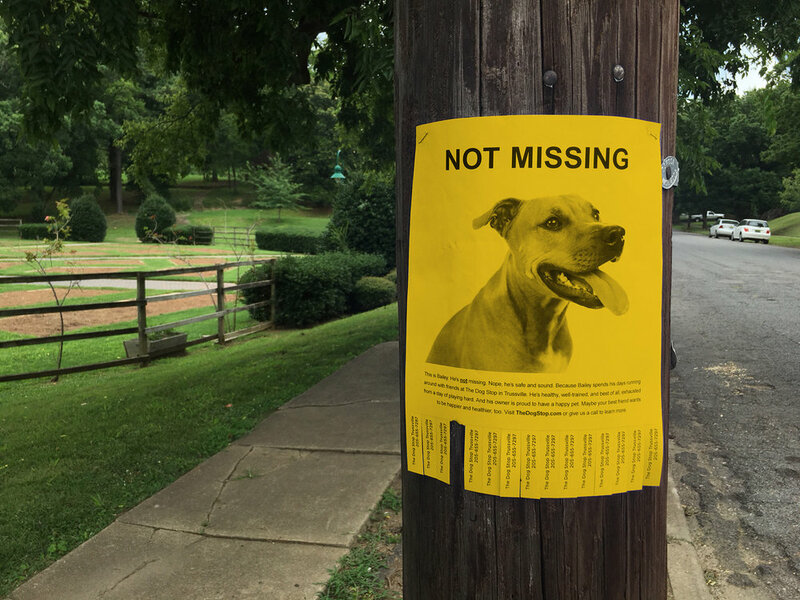 Happy, well-adjusted dogs are less likely to wander off, so we posted flyers of a not missing dog on telephone poles and message boards around town, with tear-away phone numbers of the nearest Dog Stop location.